Clients of SFM whose company is in good standing may be desirous of applying for additional third party services such as a corporate prepaid card. In that frame, SFM may introduce its clients to a corporate card provider to permit a service application. 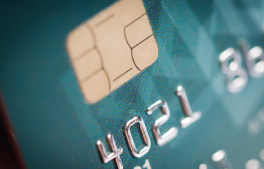 The provision of the corporate debit card itself is subject to the acceptance of the application by the issuing bank and to an agreement between the client and the card provider. The cardholder’s name does not appear on the Card and is not registered on the magnetic strip nor on the chip. Link to the card to separate the funds available on the card and the funds waiting to be loaded on the card. The card is secured with a chip and a PIN code. Please contact us should you have any interest in this product. The service provided by SFM consists in introducing eligible clients to a third party provider. Nothing on this page shall be construed as an offer to provide payment instruments or as an invitation to acquire a particular third party service. Examples are provided for illustration purpose only : a card’s characteristics vary from one provider to another, and do not constitute a warranty that the same conditions will be available at the time the introduction to a provider is performed. The service may be subject to restrictions for clients residing in particular jurisdictions, please contact your service manager for more information.